Allowing you to gamble from the comfort of your living room, online casinos are becoming a popular way to bet. However, some gamblers miss the competitive atmosphere of a land-based establishment. Taking this on board, renowned gaming developer, Lucky VR, decided to create the first 3D casino. Played using a virtual reality headset, SlotsMillion allows you to gamble in a full 3D environment. Better still, you can wager real money on your favourite casino games! For many gamblers, 3D casinos could fill the gap that is missing from online betting sites. 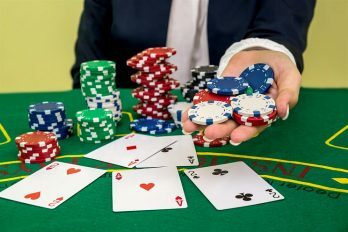 Allowing players to enjoy the physical experience of gambling without having to leave the house, 3D casinos could be the next big thing. In this article, we explore the first 3D casino in more detail. How does a 3D Casino Work? To use a 3D casino, you need to pick up a VR headset. SlotsMillion is compatible with Google’s Oculus Rift platform. Once you’ve put on your headset, everything around you will be blackened out and a new screen will appear. Instead of just seeing a screen in front of you, it feels like you have been transported to a physical world. Using either a controller or your hands, you will be able to interact with your new sur-roundings. Most 3D casinos offer a range of table games, slot machines, and even a lounge to socialise in. Allowing you to interact with other players remotely, 3D casinos offer a similar experience to a physical casino. Once you explored your new surroundings, you can choose a casino game and place a bet! Currently, the most popular way to gamble remotely is via a desktop computer or smartphone. However, with money being poured into 3D casino development, these platforms could soon become a thing of the past. 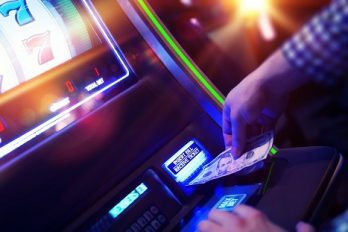 While a smartphone is still great for gambling on the go, 3D casinos offer the benefits of both land-based and online gambling. When using a 3D casino, you can enjoy the interaction and thrill of a brick-and-mortar establishment with the ease of betting from your own home. Currently, some 3D casinos only offer table games. However, players can expect to see the addition of slots and poker rooms in the near future. With the amount of development going into 3D casinos, you should soon be able to enjoy a life-like experience through your VR headset. SlotsMillion is the first 3D casino. Developed by renowned developer, Lucky VR, the casino allows you to gamble in a full 3D environment. SlotsMillion was first released in 2014. Every year since then, the game has continued to rise in popularity. In 2015, the game won the ‘Best New Casino’ award from Casino Meis-ter. In 2016, it also bagged the EGR’s ‘Innovation of the Year’. While there are other 3D casinos out there, most of them don’t allow gamblers to wager real money. While this is understandable due to the underdeveloped nature of the games, it’s a little annoying for avid gamblers. However, unlike its competitors, SlotsMillion does let players wager real cash. Better still, the game provides 24/7 customer support to ensure that players get the most out of their experience. Players can enjoy over 40 slot machines and an incredibly lifelike game room. Located on the 80th floor of a skyscraper, the innovative game room overlooks the city below. When using the casino, players are able to lean against the floor-length window and admire the view. SlotsMillion also features a realistic bar. 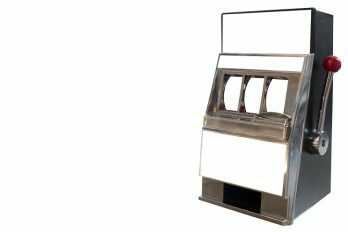 Here, players can purchase a cold beverage and take time to interact with fellow gamblers. In terms of individual games, SlotsMillion offers a range of slot games including Charms and Clovers, The True Sheriff, Penguin Splash, Mama Mia, and River of Riches. With new games being added regularly, the casino ensures that players are never out of new content. Currently, the 3D version of SlotsMillion only runs on Google’s Oculus Rift. While this VR headset is an expensive payout, the gaming experience you get from it is well worth the money. However, if you can’t get your hands on an Oculus Rift at this time, SlotsMillion can be played in 2D via any standard PC. As the development of 3D casinos increases, SlotsMillion may run on cheaper VR platforms, too. While 3D casinos are new to gambling market, they are already hugely popular. Currently, SlotsMillion is the only 3D casino that allows players to wager real money. However, with the money, research, and de-velopment being poured into 3D gaming, players can expect to see a wider selection in the near future. Whether you’re an experienced gambler or a complete beginner, 3D casinos can be enjoyed by players of all sorts. If you enjoy betting but don’t have the time to visit a physical casino, 3D casinos offer the perfect solution. Allowing you to gamble from the comfort of your sofa with the atmosphere of a physical casino, 3D casinos offer the best of both worlds. If you can’t justify splashing out on a VR headset, you can still enjoy gambling via an online casino. As they rise in popularity, new sites are popping up each day. While this offers a wide range of choice, it can be tricky to decide which one to play at. Thankfully, we are here to help. At casinobet.com, we review a wide range of casinos and games to help you decide on the best one to go for. Better still, we take into account any special offers or promotions to ensure you get the most for your money!